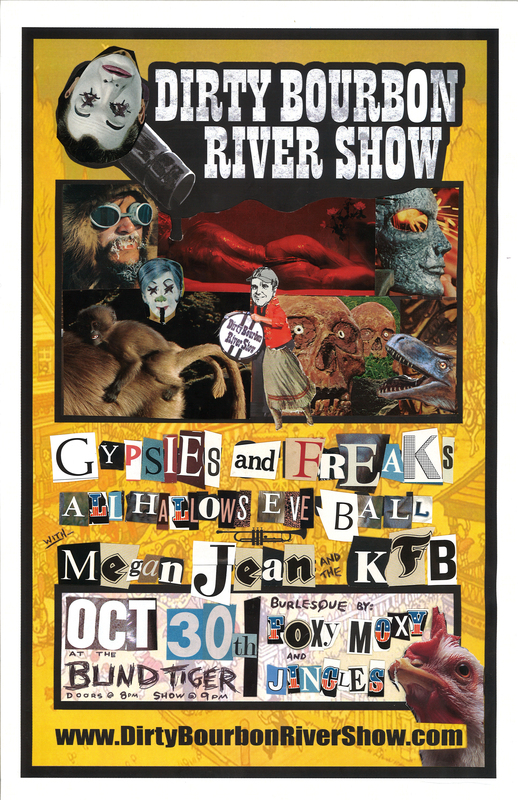 YES we have quite a show at the BLIND TIGER on this the day of your Hallow’s Eve ! Yours truly will be sharing the night with our friends MEGAN JEAN and the KFB plus some burlesque from two lovely friends, FoXy MoXY and JinGLeS! BaM BaM!